Unlike any console, you cannot simply swap out parts and improve the processing speeds or graphic output like you can when you have built your own computer rig. The more that certain pieces and parts of your system get used, the more likely they are to falter or fail. When this happens to your console, you might find yourself having to purchase another one, or at the very least send it back to the manufacturer for repairs. But regardless if you are just looking to improve overall performance, or are in need of parts to repair a burnt-out component, this is something that even newbies can do with little instruction. Another point worth considering on this list of reasons to consider PC gaming as a better alternative to consoles, is that you likely already own a computer. Like any technology, before long you will be looking to upgrade it with a brand-new desktop to take its place. 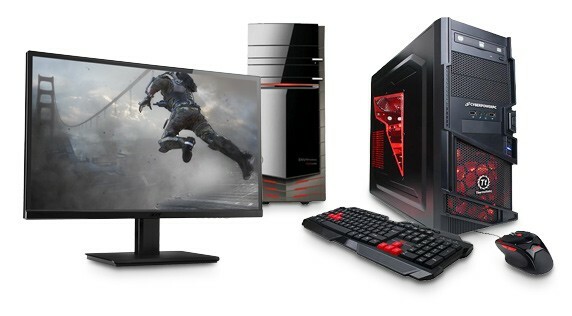 For just a little more upfront cost, you can make your everyday home computer into a powerful gaming rig that can masterfully play some of the most demanding and visually stunning games that exist. Think of all of the games that you have purchased over your lifetime for various systems that have been released. While the next edition seemingly always initially promises the hope of backwards compatibility for their games, when release time comes, that feature is mysteriously missing. That means all of the money that you have invested into the library of games for the dated system you have just replaced is just gone. You can no longer play these games without booting up the old system and playing them that way. Now, to rebuild your library of your favorite titles and the latest releases, you have to ensure that you are getting them for your new console in hopes that one day a system developer will keep that promise. PC gamers do not have this problem. If you purchase a game to be played on your computer, you are always going to be able to play that game. Whether you have downloaded it or you have a physical disc, your computer is going to be able to read the appropriate files and bring up the games you have purchased decades down the road. So, the money you put into the games is never going to be made into a wasted investment, essentially. You might be among the gamers that are dragging their feet about leaving console gaming for PC simply because you are comfortable using a controller. Fortunately for you, some of the greatest controllers ever designed for video games aren’t being released for use on consoles, but for PC gaming rigs. This is often a small investment (often less than the cost of a spare controller for a console), and it can give you that familiar aspect with all of the added benefits of choosing a PC over your already dated console. There is no mistaking that, even with the high priced latest edition to the Xbox franchise, getting a quality gaming computer isn’t necessarily cheap. However, when you consider the earlier points made about upgrading over replacement and backwards compatibility, you will soon see that PC gaming is vastly cheaper overall than the alternative. There are also sites like TheGreatSetup.com that help you to construct your own computer to your exact specifications without emptying your bank account. These are just a few of the considerations that might persuade you that PC gaming is more superior to console offerings by quite a lot. When you stop to consider all of the money that you dump into playing a console for a few years, you might begin to see both the financial benefits and the actual gaming benefits to opting for better graphics and a better value with PC gaming computers.